Hi there! I know its been like three weeks since my last post and I apologize. I have been working on a schedule for my posts and sorting out my blog ideas. Nevertheless, I am back now and ready to share my favorites! I did not post a monthly beauty favorites for February because I did not try too many new things. I only ended up obsessing over two items so I’ll begin with those and then carry on with my favorites for March. I stumbled across the “Blackmail” Vice lip palette at my local Ulta one day. 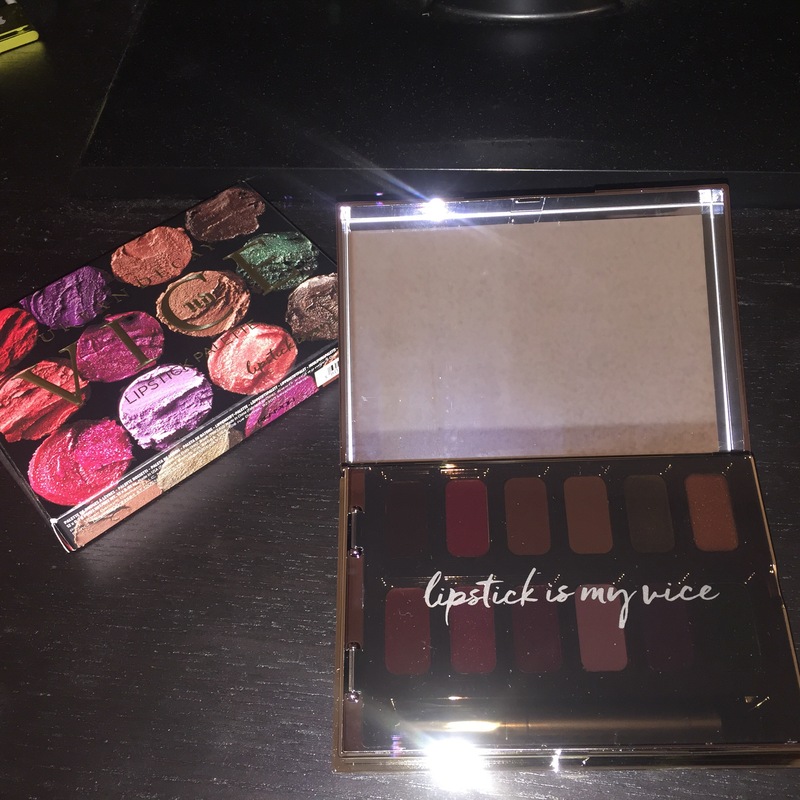 There happens to be two versions of these lip palettes-Blackmail and Junkie. They were originally apart of Urban Decay’s fall/holiday collection. But by the time I got my hands on them Christmas had came went so, these gems had been marked down to $20.00. Which made it a steal because they were orginally $35.00! Each palette is composed of a dozen lipstick shades from Urban Decay’s extensive lipstick range. I think the concept is amazing and is ideal for travel. Each lipstick in the palette is pigmented and performs just as amazing as the original bullets. A lip brush is also provided in each palette. Next time I travel this will definitely be in tow. I do have both palettes but “Blackmail” is my favorite of the two. It just had more wearable shades for everyday and I can get more use out of this one. In February I was obsessed with glitter cut creases. I had envisioned a glitter cut crease using red glitter for Valentine’s Day. Unfortunately, I could never get my hands on red glitter in time. So I had to settle for what I had in my collection. During the holiday season I purchased a MAC holiday set that housed three pigments and a glitter. The glitter was a copper shade so I attempted my cut creases with that. I think it turned out rather lovely and was definitely more wearable than the red would’ve been. 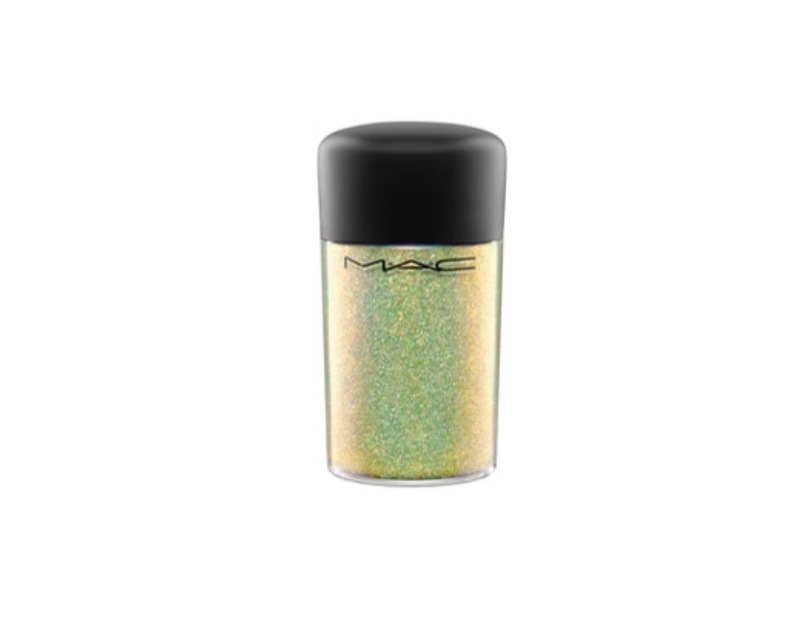 The quality of this glitter was amazing and I am contemplating but more glitter from MAC. In March I finally invested in a setting spray. I do own a bottle of fix + which is normally what I’d use to set. But Fix + is not a setting spray; It is a multipurpose spray. Although many people use it to set makeup; it does not assist in the longevity of your makeup lasting. I find that after setting with the “All Nighter Spray” my makeup stays in place and doesn’t budge. I will continue to purchase this item when I run out. I have jumped on the “Shape Tape” bandwagon! 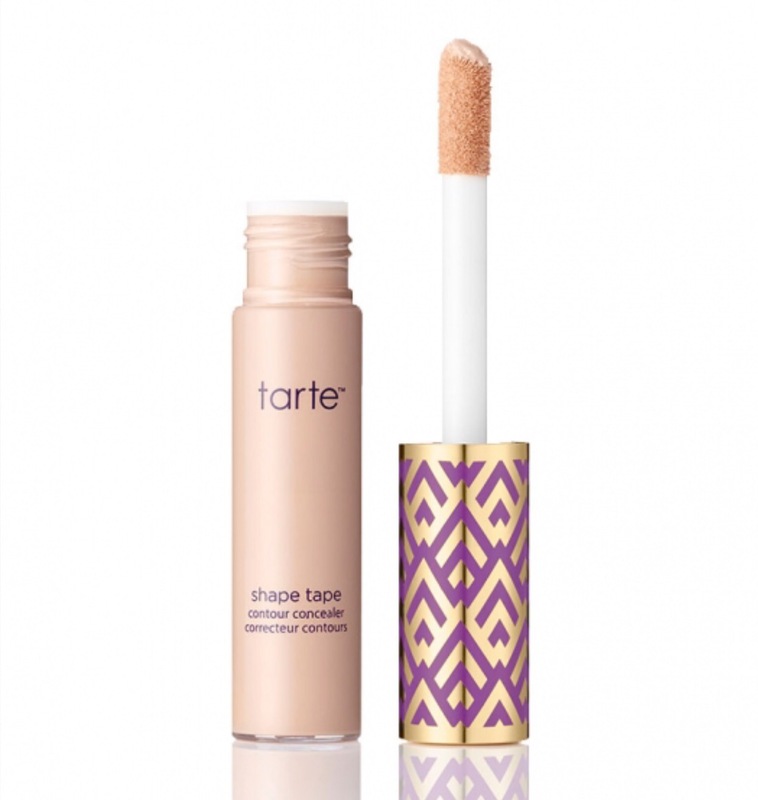 It is seriously my favorite concealer right now. It is very full coverage and trust me a little goes a long way. I only use one dot under each eye and blend it out with a damp beauty blender. Because using too much can become hard to blend out. It really brightens under my eye which what I was looking for in a concealer. I was using MAC’s “Prolongwear” before I grabbed this and it just wasn’t brighter enough. I use the shade “Tan Sand”! I’ve owned this brush for awhile and I was only using it for contouring with creams. But recently I’ve been using it to blend out my foundation. This is a tip I got from Jaclyn Hill-a well known beauty guru from YouTube. She raved about it in one or her more recent videos. Using a smaller brush gives me more control during the blending process. I feel like I get a more airbrushed look regardless of the foundation I use. For the month of March I rarely found myself reaching for another brush. The E8 retails for $5.99 and can be found on the Morphe website! 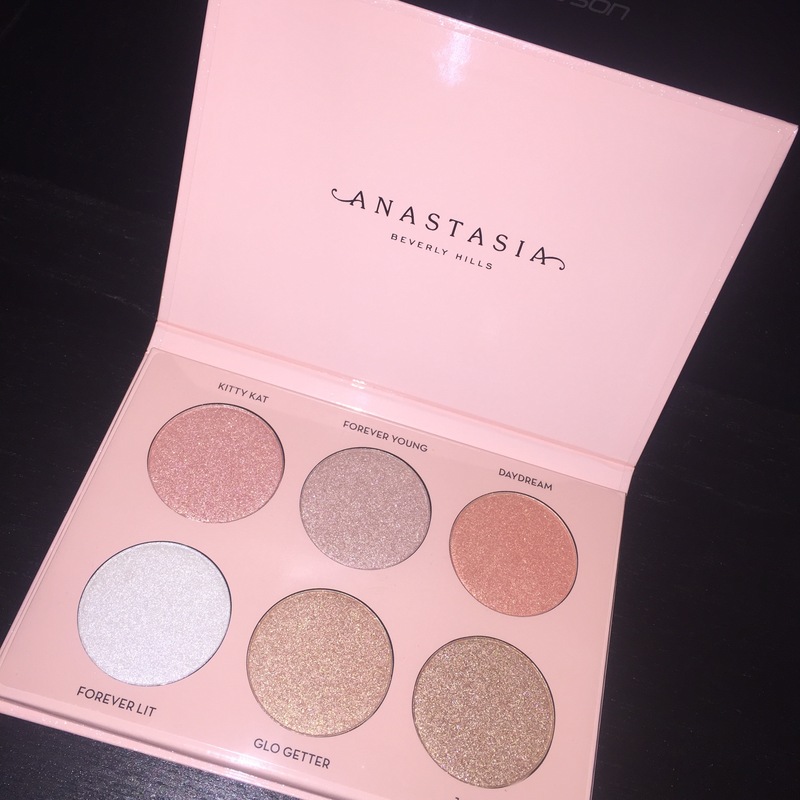 This is another product that I’ve owned for some time but, I wasn’t giving it consistent use. I have natural hair and I co-wash every other day. This conditioner has been my go to all of March and my bottle is practically empty. It makes my hair so soft and manageable. Detangling my hair in the shower is breeze. I happen to be a victim of heat damaged so I was drawn to this product due to the claims. And I can honestly see some of my curls being restored. Plus this conditioner smells amazing and the scent lingers days after washing. 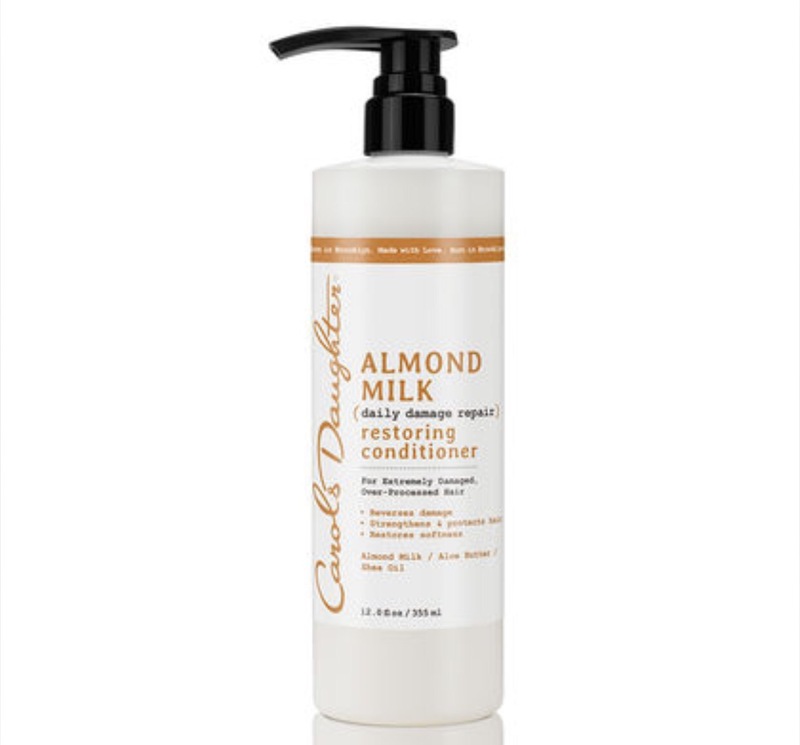 The Almond Milk by Carol’s Daughter line has a shampoo, conditioner and a hair mask. I bought mines at my local Target! I was introduced to this product by Vogue Magazine. I get Vogue every month and I also get emails from their website. One of the emails they sent me had a list of Trader Joes’ products. Basically like a list of beauty hidden gems. I practically bought everything on the list and I’ve been using products here and there. But lately since I’ve been on a path to better skin; I figured it was time to try this out. This facial Cleasner is suppose to be simple and gentle. But it exfoliates, tones and is full of antioxidants. I use one pump of product until my Clarisonic and go to work. 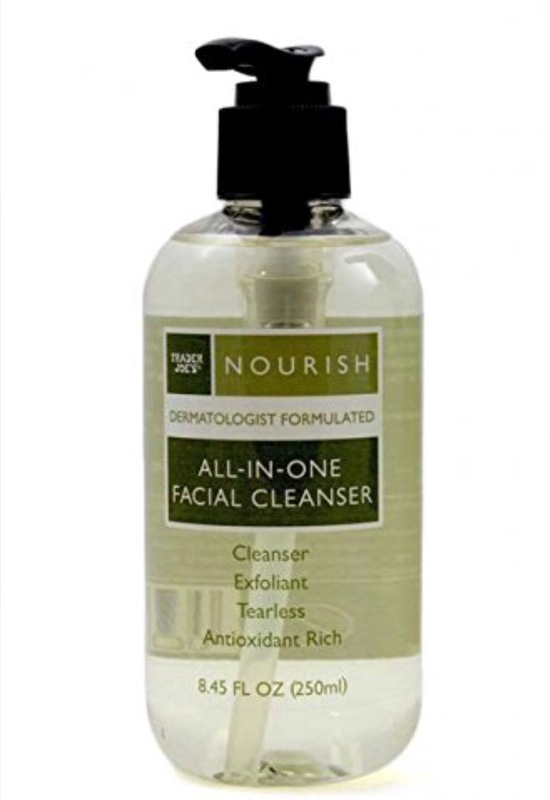 I find that my face isn’t irritated or dry out after cleansing! I will continue to purchase this after I run out. That concludes my beauty favorites for the month and February and March. Once again I apologize for my absence and delay. If you have tried any of these products let me know in the comments!